Home Expert Advice Injury, Prevention & Recovery Kinesiology Taping: What's It All About? KINESIOLOGY TAPING: WHAT'S IT ALL ABOUT? Few people can have failed to notice the rise of this sometimes brightly coloured tape in recent years. Whether on Gareth Bales’ legs, Serena Williams’ back or Andy Murrays’ knee, it’s been rapidly gaining popularity with athletes and therapists alike. While some people remain doubtful that is nothing more than a passing fad others, myself included, have seen and felt its powerful effects in reducing pain and enhancing movement. Every day in my clinic I see patients delighted and amazed by the effects of tape. Every time I teach a taping course I see sceptics become converts by wearing and feeling the tape work on them. Kinesiology Tape can be used to complement and augment the work of a wide variety of health professionals from strength and conditioning coaches to chiropractors and everything in between. If reducing pain and improving movement is your business join the ‘taping revolution’ and prepare to be amazed. 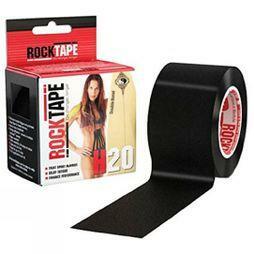 The tape is made of tightly woven elasticated cotton fibres. The glue on the tape is acrylic, highly durable and waterproof - so tape can be worn for up to a week withstanding vigorous movement, sweat and total emersion in water. The aim is that tape matches and augments the stretch characteristics of your skin and muscles. The tape does not contain any medication or drugs; all the benefits come from the tapes elasticity. Different colours are cosmetic only; all tape has the same benefits. The popularity of Kinesiology Taping has grown and spread worldwide based on its clinical effectiveness to reduce pain and enhance performance rather hard tangible evidence about how the effects are achieved. Although still in its infancy, the early signs from research studies are encouraging and a body of academic research is growing to support the positive effects of tape. Some studies, mostly on healthy subjects, have had negative findings. Most experienced tapers agree that tape will do little to healthy tissue but frequently help wherever there is compromise, so these finding come as no surprise. Cards on the table, whilst the clinical effects are clear to see by anyone who applies or wears tape, nobody is 100% sure how it works. This is my best guess until more research comes along. The elastic properties of the tape seems to induce vertical lift of skin from the underlying tissue. This decompresses the most superficial layers of tissue and subcutaneous space. The decompression is thought to alter slide and glide mechanics between tissue layers and possibly improve blood and lymphatic flow in the taped area. his effect could explain some of the rapid changes in range of movement and swelling often seen when using tape. Tape placed on skin stimulates neural receptors in the skin. When tape is placed over weak, sore and injured tissue it will act to aid the bodies ‘active’ stabilisation system, improving and increasing activity and feedback from nerves and muscles. This results in improved functional performance, less pain, and faster recovery. RockTape can be worn by anyone from children to the elderly. It can help to treat almost any pain or dysfunction being caused by the bodies musculo-skeletal system. It works best at the milder end of the injury spectrum, especially good for those who only get pain with activity or exercise. Although the glue is tough and durable, the tape can be removed with very little discomfort and leaves no residue on the skin. In all but the hairiest places the tape will still stick well and leave the hair behind when you take it off so shaving is rarely required. Very occasionally it can cause an allergic skin reaction, but much less often than more traditional tapes. If too much tension is placed on the ends of the tape it can irritate and inflame the skin. Absolute contraindications are open wounds or active infection/cellulitis. Precautions include DVT, cancer patients, history of skin allergies, fragile skin. If in any doubt check with the patient’s doctor. It’s not a miracle cure! It won’t mend broken bones or instantly fix serious injury. It doesn’t work like a plaster on a wound. To get maximum effect the right combination of tape and tissue stretch is vital. 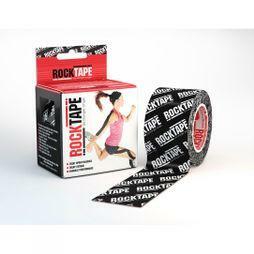 RockTape UK Medical Director Paul Coker teaches you how to tape like a pro. It’s cost and time effective, doesn’t need much space, but it can hurt (which usually means you’re doing it right). With so many to choose from, differing in size, shape, foam type, and cost, follow this guide on how to choose the best foam roller for you.